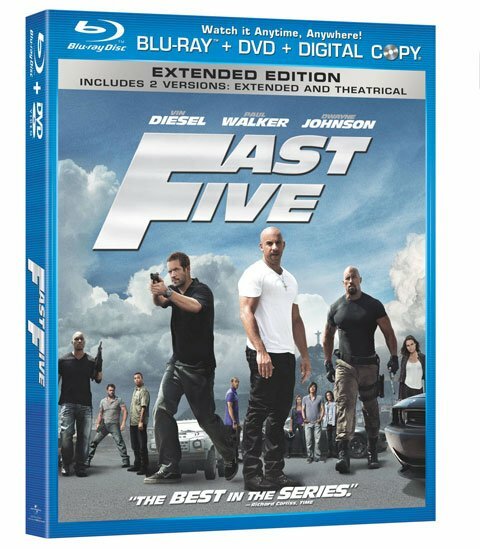 Fast Five will eventually hit Blu-Ray and DVD on October 4. Purchasing the DVD or Blu-Ray will yield the same basic features, including biopics on Brian O’Connor and Dom’s characters, a gag reel, deleted scenes, commentary from director Justin Lin, and an “Enter Federal Agent Hobbs” featurette. Both releases will come as combo packs, with a digital copy, as well. However, the similarities end here. That’s because the Blu-Ray combo pack will come with an extended edition of the film, and that app I keep alluding to. Unfortunately, I haven’t yet been able to check out the elusive second screen app, so I’m barely more out of the dark than you are. Basically Universal’s “Second Screen” will use electronic portable devices to bring you extra Blu-Ray features and interactive elements. The concept uses an updated version of pocket Blu to achieve this, so I don’t really understand how it is a separate entity, but either way it will allow viewers to check out interactive features on tablet PCs and the like. You can check out more information on second screen, here or check out the list of second screen extras, below. Fast Five was really entertaining and would be an amusing addition to my Blu-Ray collection. Universal just needs to make sure the October release has enough bells and whistles to make up for such a late release.